This is a high-difinition audio and video function of a digital camera pen. One-stick operation? please reading operating instruction carefully to understand it. 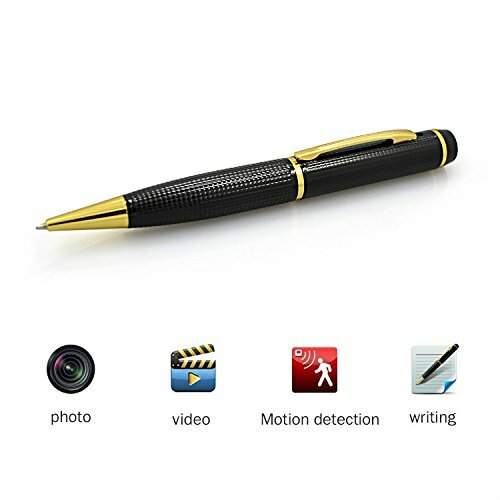 Metal material,non-slip design,black with gold color makes a fashion pen. One refill in the pen,and five refills provided for substitute,never worry about writing. Real 1280×720 resolution,8 mega pixels,and real high frame rate. Three modes to choose according to your demand:photo video and standby status. 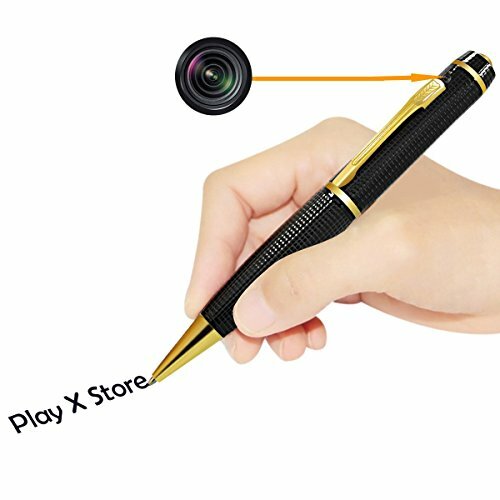 Just like an ordinary pen,write with it,hold on your hands or clip on your pocket. No different with other pens in appearance,hard to be discovered. Memory:Free 8GB micro card in the pen,Ex-slot for TF card,support max 32G. Long lasting battery life with 1.5-2 hours of video recording.Charging time is 3 hours if your charging in computer. CD not included in the versions. Specific effect are subject to the real object. User(s) have to abide by the applicable national laws and regulations. This product shall not be applied to other illegal purposes or you shall be responsible for the consequence thereof. High definition:Recorder in 1280Ã—720 HD video resolution and 8 mega pixels,real high frame rate. Hidden:There are no different with other pens in appearance,hard to be discovered. Multifunction:Photo,video and stangby status to extend shooting time,also you can write with it. Memory:A Free 8GB micro card in the pen,ex-slot for TF card,support max 32G. Potable:Connect Computer with USB in pen or data cable to watching video and photo,battery charging at the same time.